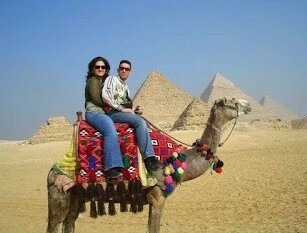 Weddinghousehold.com - Egypt is the best place for your honeymoon destination. Celebrate your romantic honeymoon tours in Egypt with different kinds of Egyptian ways of such as Pharaonic Wedding, Coptic Wedding and Nubian Wedding. You can make your honeymoon holidays memorable in Egypt. Egypt offers the most enjoyable honeymoon holidays to exotic destinations. You can spend your honeymoons between mysterious historical sites, or Egypt Beaches and nights beneath twinkling stars. Unleash your inner adventurer on this journey with fabulous landscapes, fascinating history and ravishing sightseeing and more with Cairo and Nile Cruise, be witness with the glory of pyramids, Walk through the Egyptian Museum, get relaxed at the majestic Nile River, and more. For an unforgettable honeymoon or a special romantic getaway, enjoy the romantic atmosphere of the Luxury Nile river boat, stare at Hatshepsut Temple, and explore the simple life of Nubian People and more. Get the chance to scout all the gleaming landmarks of Egypt at your honeymoon, because first days in married should be memorable, with Cairo and Sharm El Sheikh Honeymoon achieve your dream for unforgettable moments while you explore the underwater world at Red Sea, stare at the amazement of Pyramids and more. 0 Response to "Egypt Honeymoon Destinations"